Kontron, líder global en tecnología informática embebida. Trabaja en la fabricación centrandose en las competencias informáticas de sus clientes, ofreciendo una gama completa e integrada de hardware, software y servicios diseñados para ayudar a sacar mayor provecho de sus aplicaciones. Con un porcentaje significativo de los empleados trabajando en investigación y desarrollo, Kontron es una sociedad cotizada. Sus acciones cotizan en el segmento Prime Standard de la Bolsa de Valores de Frankfurt y en otras bolsas bajo el símbolo “KBC”. NewDatay mucho pequeños con una plantilla especializada que es capaz de asesorar en cualquier tipo de proyecto. 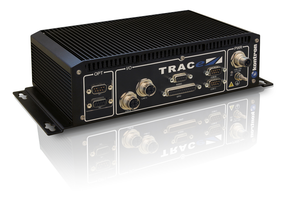 Kontron TRACe B304-TR is an EN50155 certified fanless Operational Computer offering easy customization via MiniPCIe slots to meet application-specific requirements. Based on COMExpress© featuring Intel® Atom Bay Trail (quad core @ 1.91 GHz), TRACe B304-TR is designed to ensure stable operation in harsh environments. The Kontron TRACe B304-TR is designed with a wide range power supply (from 24VDC to 110VDC). Its front plate is dedicated to the operational connectors (certified I/O according to EN50155 standard: Ethernet, USB, Serial ports, Audio, Digital Inputs and Outputs) whereas the rear plate hosts maintenance connectors (Display Port, USB, Serial, Ethernet, 2x SIM card slots). On this plate, a reserved area with 3 pre-holes allows the routing of non-provided Mini PCI-Express cards I/O signals (GSM/GPRS/3G/LTE/4G, GPS, Wi-Fi, Bluetooth). Kontron TRACe B304-TR extensible and modular design allows custom configuration. On operational front plate, a customizable option plate is present and used for additional interfaces (MVB, CAN Layer2, CAN Open, Profibus…). Furthermore, Kontron TRACe B304-TR includes some sensors and a micro-controller for system health monitoring. The integrated micro-controller monitors boards and in-box ambient temperature, voltages, current and even manages Vital Product Data (P/N, S/N, EC Lvl…) of main components. The highly scalable COBALT product family is based on the COMe module Basic & Compact form factor module (Type 6) with a specialized carrier board assembly. 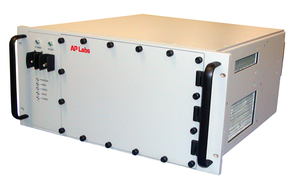 It is available with a wide selection of power, interface options, thermal solutions, and mounting kits. 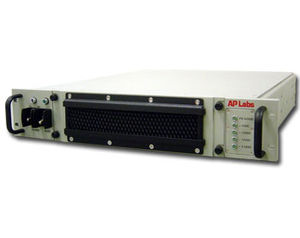 The compact footprint and power-to-performance optimization make it the ideal solution for applications requiring high performance, reduced size-weight-power in an environmentally ruggedized platform. The design flexibility ensures fast time-to-market for many applications in the following segments: military, avionics, commercial avionics, mining, smart grid, homeland security, transportation (rail), and oil & gas. Kontron TRACe M304-TR allows communication between equipment in each coach, monitoring doors, air conditioning, seat reservation, light, power, brakes, … its MVB (Class 1 up to Class 4) interface features process data, message data (opt), bus administrator and EMD (opt ESD+) physical interfaces. Kontron TRACe M304-TR offers 2 independent Gigabit ethernet LAN through isolated and lockable M12 connectors. 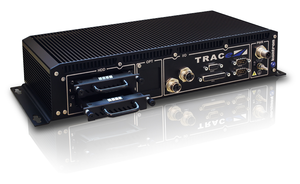 Then TRACe M304-TR can be used as an Ethernet-MVB gateway. Moreover, TRACe M304-TR features 1x WLAN 802.11 a/b/g/n Wi-Fi network interface. 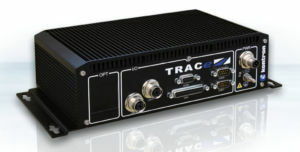 Kontron TRACe G304-TR is an EN50155 certified fanless operational Computer. 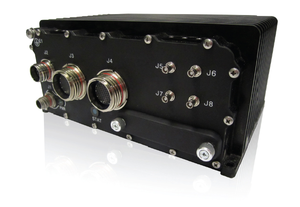 This “G” version is a certified Gateway enabling data connectivity to telemetry devices, station and train control, specifically designed for rolling stock remote control operations and infotainment applications. The G304-TR version is based on a COMExpress© CPU module featuring Intel® Atom E3845 quad-core @ 1.91 GHz (Bay Trail). It has been designed to ensure stable operation in harsh environments. Thanks to its various communication channels (LAN/WAN/WLAN), Kontron TRACe G304-TR is ideal for any Gateway applications from passenger infotainment to maintenance operations. 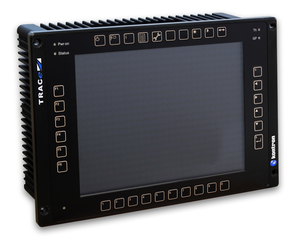 TRACe™ HMID104, an EN50155-certified fanless operational panel PC display. Specifically designed for transportation systems, Kontron’s advanced touch-screen HMI offers a flexible building block platform enabling developers of train control systems to quickly adapt functionality to different needs such as train functionality operational displays for drivers, passenger information displays and onboard computers. Based on Kontron’s COM Express© Computer-on-Module (COM) integrating the Intel® Atom E3845 processor, the TRACe-HMI offers excellent processing performance and low power consumption providing an ideal high performance per watt ratio. Delivering a highly rugged design, the system is EN50155 Class Tx certified and supports extended temperature operation -40°C (-30°C for the screen itself) to +70°C / 10 min @ +85°C ensuring safe deployment in trains, trams and underground vehicles. The Kontron FS-1270 is an 8U tall ruggedized VME/cPCI enclosure designed for 6U VME/cPCI boards with an optional peripheral carrier available in 10, 12 and 18-slot versions. Designed to meet MIL-S-901 in an isolated rack, MIL-STD-810 and MIL-STD-167-1 shock and vibration specifications for severe environments. Optionally, the FS-1270 can be upgraded to meet MIL-STD-108 for drip proof requirements. 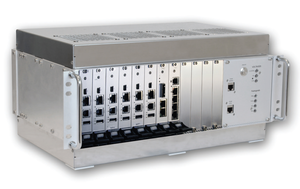 The Kontron FS-1203 ruggedized chassis provides three 6U VME/cPCI slots in an ultra-low profile, compact chassis. Kontron TRACe V304-TR is an EN50155 certified fanless Network Video Recorder. 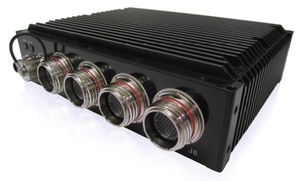 This “V” version is specifically designed for rolling stock IP video surveillance. The V304-TR version is based on a COM Express© CPU module featuring Intel® Atom E3845 Bay Trail (quad-core @ 1.91 GHz). Kontron TRACe V304-TR features a wide range power supply (from 24 VDC to 110 VDC). 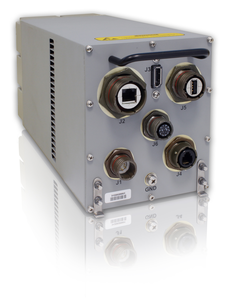 EN50155 certified TRACe V304-TR box recorder is designed to provide high performance, high reliability and high capacity data storage in rough railway environments. StarVX presents an optimal application-ready solution for radar and sonar systems that are expected to make a tremendous jump in a processing power and data I/O bandwidth. StarVX was designed to help developers dramatically streamline the process from design to field deployment of next-generation radar and sonar and imagine applications. Based only on mainstream IT technology (TCP/IP, PCIe, Intel® CPUs, Linux), and co-developed with Intel and PLX, StarVX demonstrates the breakthrough technology that restores matched I/O and CPU performance ratios. Based on the 4th generation Intel® Core™ and Xeon™ processors deployed in the Kontron 3U VPX feature rich ecosystem, StarVX leverages Kontron’s extensive computing platform design capabilities in small, air cooled or conduction-cooled platforms. The AIRES product family extends Kontron’s existing Ethernet switch portfolio and features a fully managed layer 2/3 Gigabit Ethernet switch offering IPv4/IPv6 routing and full management capabilities. It supports a powerful set of CLI, Telnet, Web and SNMP management interfaces to configure the entire set of protocols and parameters including Layer 2 and Layer 3 (IPv4/IPv6) protocols, Multicasting, QoS and Security. The AIRES is uniquely designed and tested to survive in harsh and extreme environments conditions found in military, avionics, commercial avionics, mining, smart grid, homeland security, transportation (rail), and oil & gas markets. 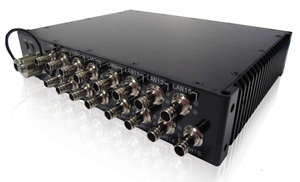 The Kontron FS-1209 is a ruggedized 5U high system enclosure that supports up to seven slots of 0.8”x 6U boards. 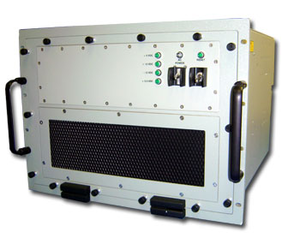 This chassis is designed to meet MIL-S-901D in an isolated rack, MIL-STD-810E and MIL-STD-167-1 shock and vibration specifications for severe environments. Kontron ApexVX is a pre-validated computer system that can be easily modified and adapted to your application requirements. your next generation systems. 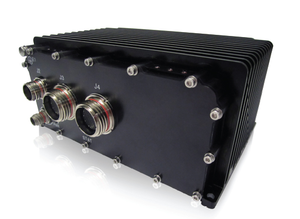 ApexVX modular design ensures fast customization features that allow the system to adapt to the specific requirements of multiple missions, helping secure ambitious deployment schedule.